Wash-always are water soluble, transparent stabilizers which make a great embroidery backing or topping. Designed to stabilize delicate, washable fabrics and high pile fabrics such as terry cloth. Wash-always can be easily hooped and used under or over the fabric to support open stitches, cut-work or button holes. Stretchable and delicate fabrics will no longer lose their shape as you sew or embroider on them. 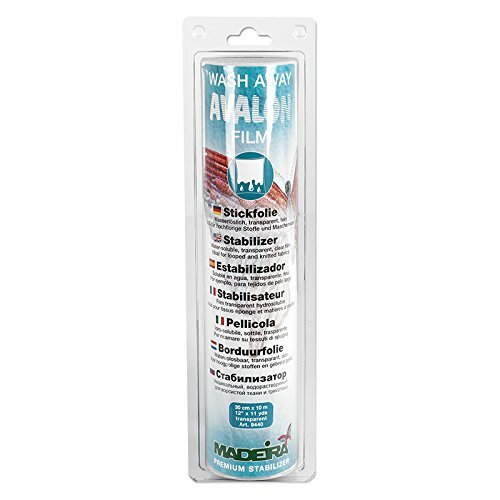 Use for free-hand embroidery, lace or any project that requires the complete removal of the stabilizer. Size is 12in x 3 are water soluble, transparent stabilizers which make a great embroidery backing or topping. Designed to stabilize delicate, washable fabrics and high pile fabrics such as terry cloth. 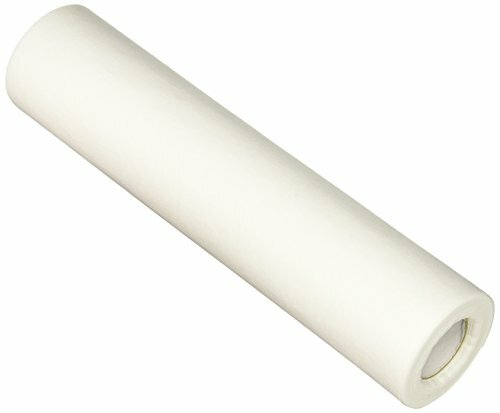 Non-woven tear-away stabilizer with a smooth finish. The choice of professional embroiderers and a general purpose stabilizer for use with almost any fabric. Use for machine embroidery, patchwork and quilting. It is 12in x 11yds.The choice of professional embroiderers and a general purpose stabilizer for use with almost any fabric. Use for machine embroidery, patchwork and quilting. Cut-always are permanent stabilizers meant to remain with the garment to keep it stable during and after embroidery. They prevent crinkling and displacement of the work, even when embroidering numerous small detail and are therefore ideal for embroidery patterns with a large number of stitches and high stitch density. Size is 12in x 5 yards. Cut-aways are permanent stabilizers meant to remain with the garment to keep it stable during and after embroidery. They prevent crinkling and displacement of the work. 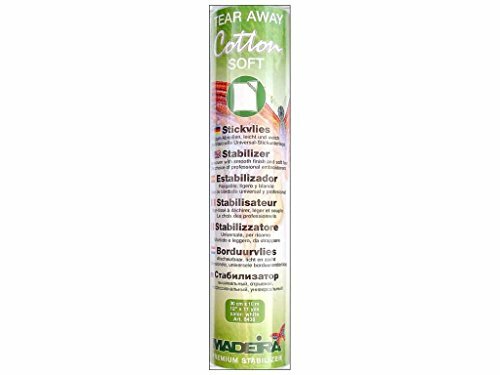 Madeira Tear Away Cotton Soft Stabilizer 12 in. x 11 yd. Madeira Tear Away Cotton Soft Stabilizer is a wonderful choice for all types of machine embroidery, monogramming, decorative stitching and cut work. Does an excellent job of preventing fabric shifting during stitching and produces super-clean edges. The natural cotton fibers make it environmentally friendly and extremely soft and comfortable against the skin. Ideal for applique or as a backing for buttonholes. Use this on heavier, stable fabrics. Non-woven. 12 inch x 11 yard. White. 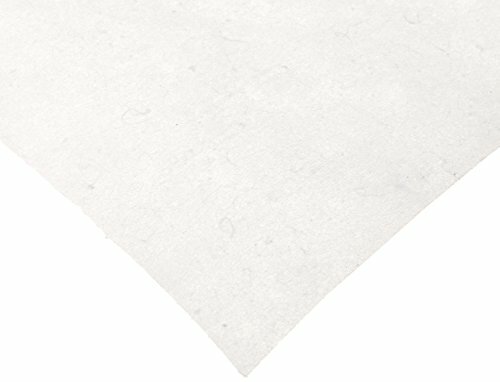 Non-woven tear-away stabilizer with a smooth finish. The choice of professional embroiderers and a general purpose stabilizer for use with almost any fabric. Use for machine embroidery, patchwork and quilting. It is 12in x 5yds.The choice of professional embroiderers and a general purpose stabilizer for use with almost any fabric. Use for machine embroidery, patchwork and quilting. Looking for more Madeira Embroidery Stabilizers similar ideas? Try to explore these searches: Chubby Reindeer, Agra Brown Area Rugs, and Lincoln Continental Fel Pro Exhaust. Look at latest related video about Madeira Embroidery Stabilizers. Shopwizion.com is the smartest way for online shopping: compare prices of leading online shops for best deals around the web. Don't miss TOP Madeira Embroidery Stabilizers deals, updated daily.